In honor of Black History Month, Object of the Week will—throughout the month of February—highlight works by celebrated Black artists in the SAM Collection. I never did Minimalist art. I never did, but I got real close. . . . I looked at it, tasted it, and I spat it out. Known for his highly crafted, abstract sculptures, Martin Puryear since the 1970s has created three-dimensional works that defy easy interpretation and categorization, at once evoking Modernist sculptures by Noguchi, Arp, and Brancusi, while calling to mind African sculptural traditions and Scandinavian design. A former painter, Puryear’s hand-crafted sculptures offer a highly original response to the Minimalism of the 1960s. And while he indeed embraces Minimalism’s penchant for reductive sculptural forms, his material and fabrication choices evince a commitment to elevating craft and its complement: the handmade. Using materials such as wood, stone, tar, bronze, and wire, Puryear’s greatest collaborator—the natural world—is made clear. 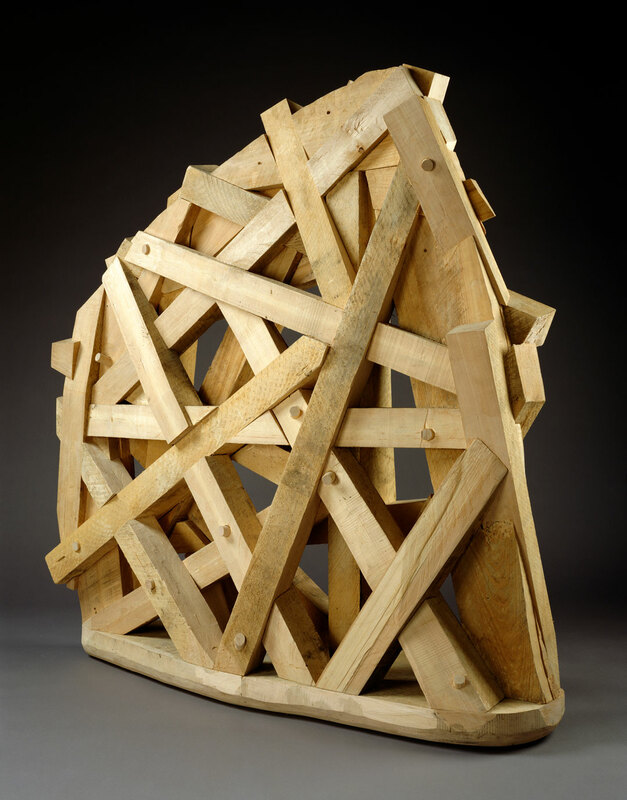 From a young age Puryear was fascinated by how things are made, and would often construct his own objects from wood—whether it be a guitar or a canoe. Decades later, while volunteering with the Peace Corps in Sierra Leone, Puryear observed and absorbed local artistic traditions like woodworking, pottery, and weaving. Together, these experiences—coupled with his time at the Swedish Royal Academy of Art in Stockholm, where he studied furniture design—helped shape Puryear’s practice and interest in mobilizing design, sculpture, and craft in the service of examining identity, culture, and history. The work pictured here, Thicket, is inspired by the shape and volume of a small rock Puryear found while on a trip to the Alaskan wilderness in 1980. Interwoven basswood and cypress give the piece a complex, tangled appearance. Both orderly and chaotic, the crisscrossed beams, struts, and posts are informed by the low Arctic vegetation that houses and protects the snowshoe hare—a rare breed endemic to the region. I want to make objects that somehow have their own history and their own reason for being and their own sense of themselves. I’m not concerned just with the object’s formal meaning, although it should be an intelligible artifact, a thing of one’s own culture and time. It’s equally crucial that there exist in the work a recognition of the maker, of who I am. Puryear’s sculptures manage to transcend time and space—blending together artistic traditions from around the world. Further, he is still one of the most important and influential artists working today, a fact confirmed by the recent announcement that he will represent the United States at the 58th Venice Biennale in the spring. John Ederfield, Martin Puryear (New York: Museum of Modern Art, 2007), 173.